The Energy Advantage 2 HP Pump is a 100% Brand New Direct Replacement for the Whisperflo. Quick Release compression fittings allow quick removal of the pump for servicing. Energy Efficient and easy to install, this pump includes a see through lid allowing quick visibility alerting you if your trap needs to be cleaned. The large capacity trap allows the pump to achieve maximum flow Built in thermal overload protection protects the motor from overheating. Includes a one year warranty and an extended warranty option for $39 for a year. This is built on a 56 barrel frame motor. Easy to install due to its common dimensions, this work horse is compatible with all filters, spas and automatic cleaners. 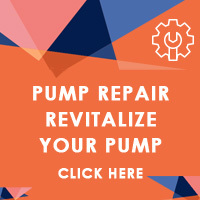 Quiet and powerful, this pump is one of the most popular designs we offer and includes a full rated motor. And unlike most name brand pool motors today made with cheap aluminum windings that fail far to soon, these motors include stainless steel shafts and all copper windings, guaranteeing a long life. These single speed products are not available for use on residential pools in CA, AZ, FL, CT, RI & VT due to local and state regulations regarding energy efficiency. We recommend you select one of our 2 Speed or Variable Speed products for that application in those markets.